Casey was an animal lover, having everything from chickens, rabbits, guinea pigs, horses, lizards, fish, turtles and of course, cats and dogs while growing up. She was a big advocate of adoption and all of the household pets were strays and adoptees in need of a home. Even the chickens were left over from the local 4-H. 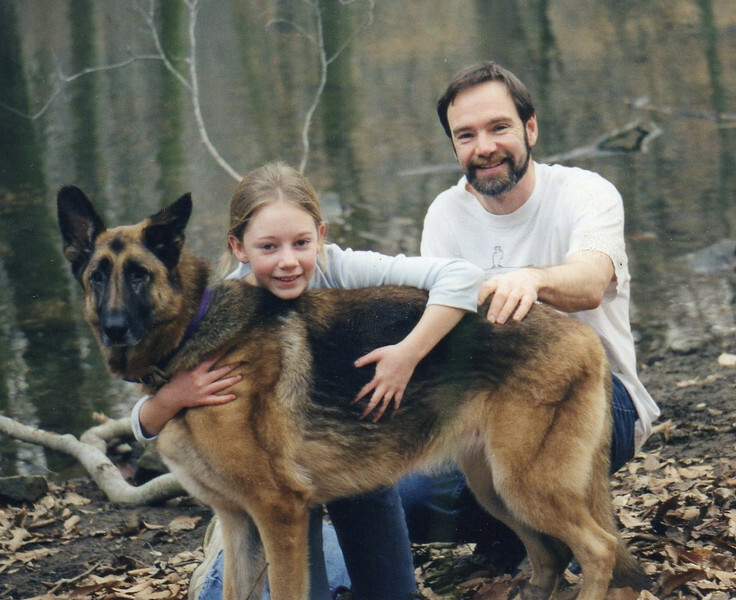 The family German Shepards all came from German Shepard Rescue of Southeastern Pa, which included a beautiful tribute to Casey in their Summer 2009 Newsletter. While at college at Fordham University, Casey would get her “animal fix” and need to give back by volunteering at Animal Haven, a no-kill shelter in NYC. The first puppy that came into the shelter after Casey’s death was named “Casey” in her memory. Casey, her dad and Annie. Darby Creek - fall 2000.